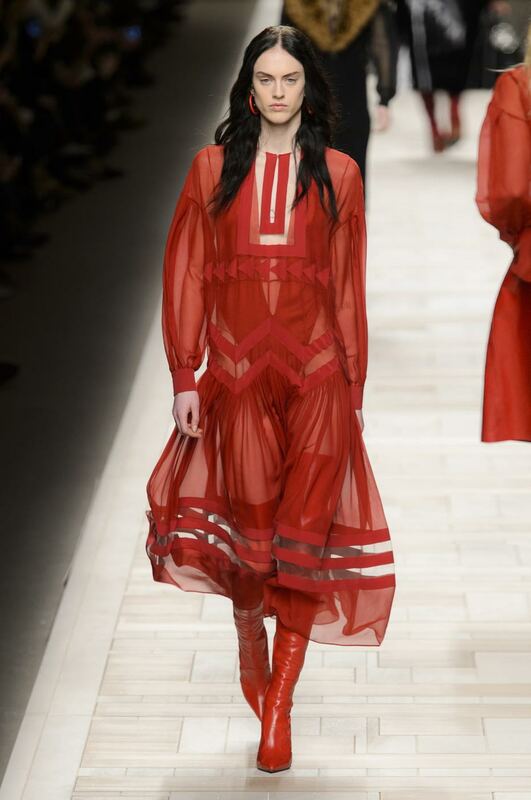 It’s Fashion Week season in world’s most fashionable capitals and it’s full on! 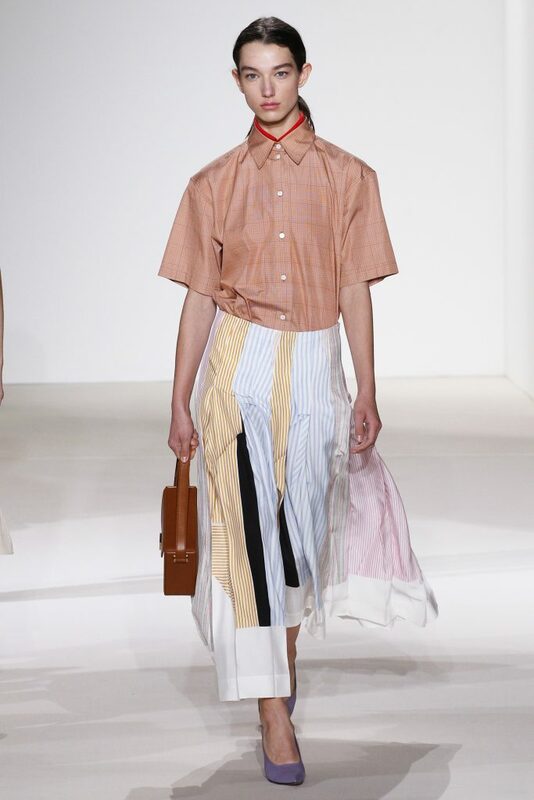 With New York and London already in the bag and Milan and Paris to go, designers are bringing their best ready-to-wear concepts on the runway for Spring ’18. 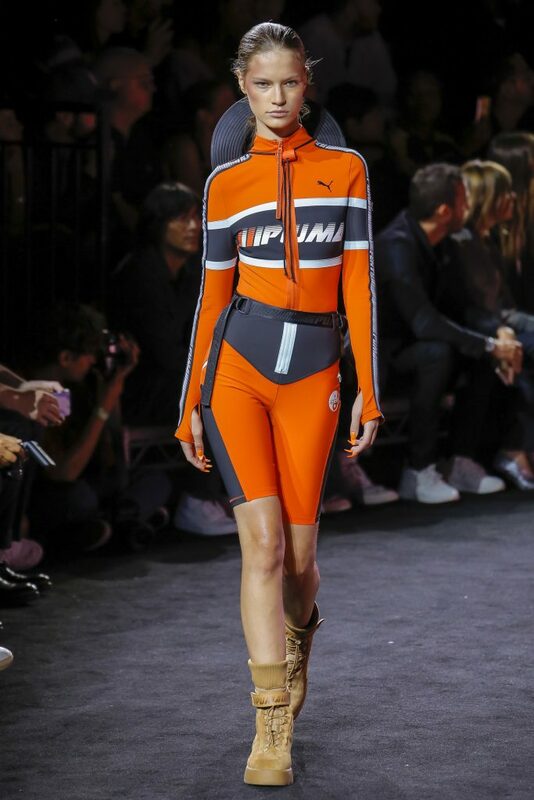 Polished sportswear was present in the unexpected adrenaline rising motocross show for Fenty X Puma collection, something fresh to keep the guests’ attention engaged. The collection featured X Games and surf references taking the form of biker and scuba onesies, raincoats and swimsuits, all in bold electric colors. 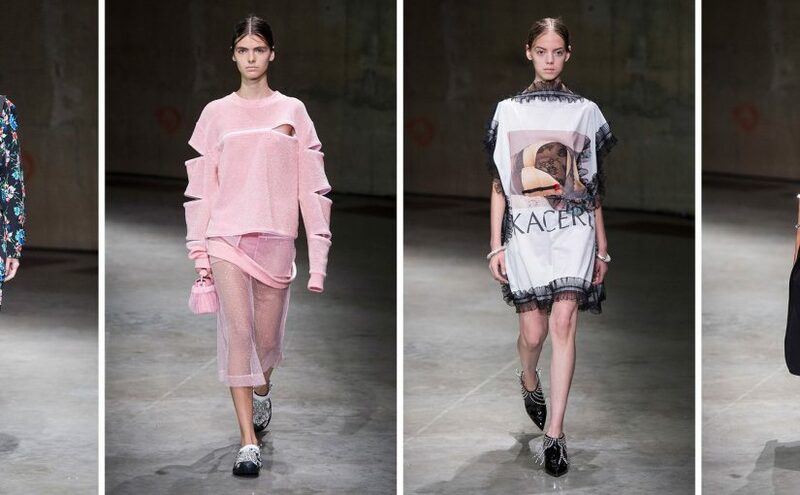 Christopher Kane approached the ungendered kink, bringing to life designs worthy of a suburban perfect domestic wife with a naughty side, referencing British 80’s sexual scandals. 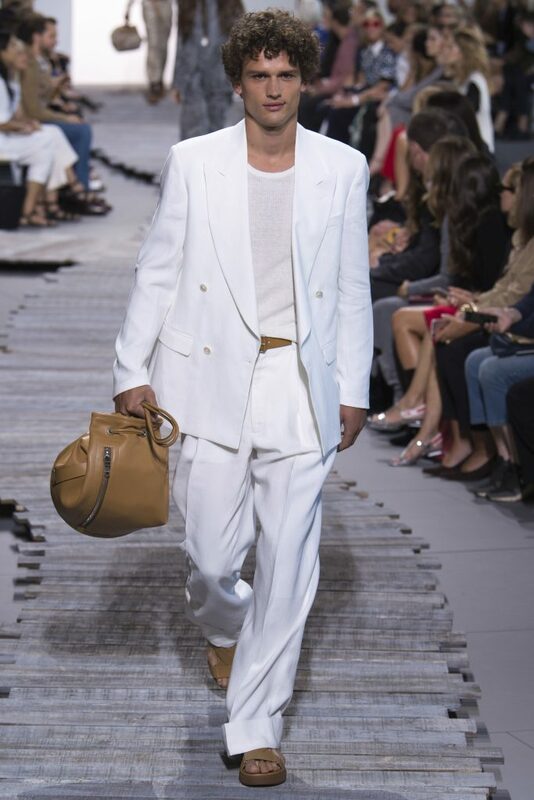 Diversity was celebrated once again, with Michael Kors keeping it simple for makeup and hair, models of all ages and ethnicities walking in Hawaii-meets-business outfits. 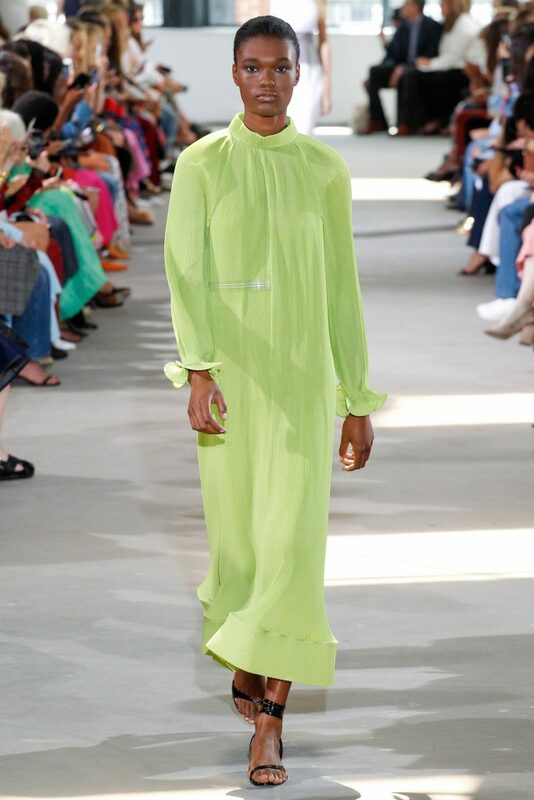 Flowy fabrics in duo-chromatic shades with touches of sparkles were proposing a solution for any city woman’s problems: how do you dress for the heat without looking casual or sloppy? Outwear meets sparkles. Coach brought eveningwear into the spotlight by combining pastel slip dresses with graphic lines and 70’s inspired leather jackets. 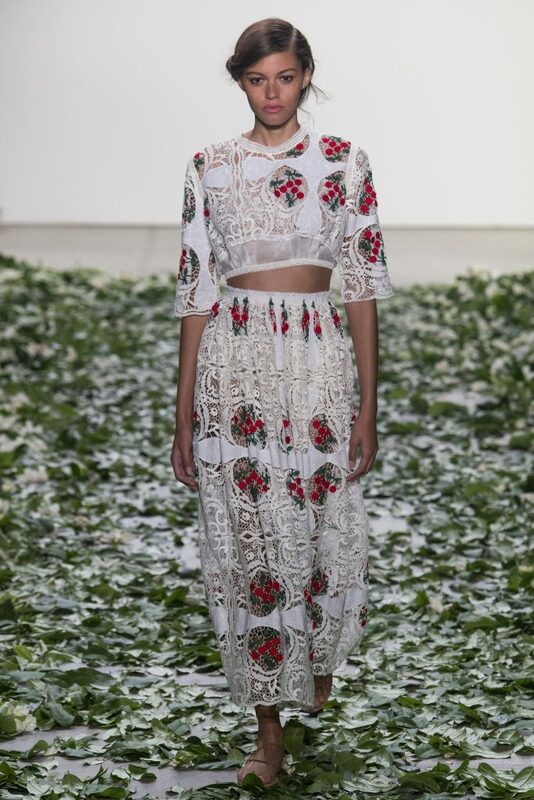 Florals for spring: ”groundbreaking”, if we were to quote Miranda from The Devil Wears Prada. 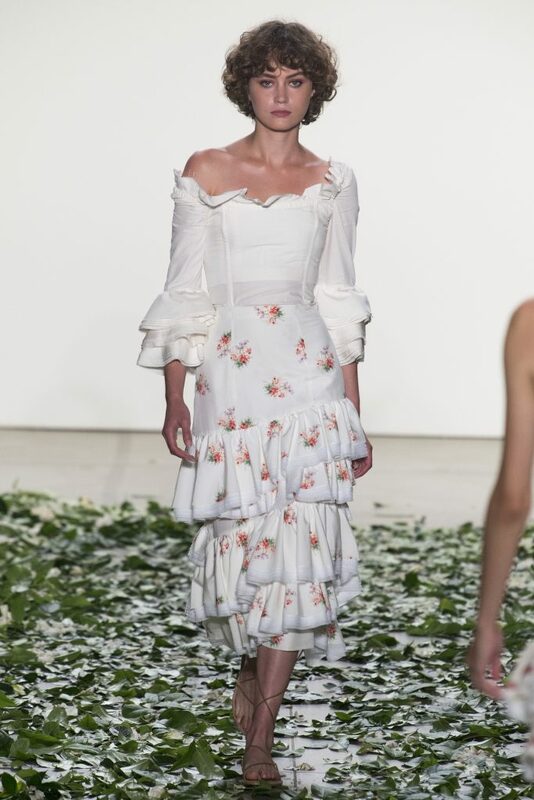 Brock Collection hasn’t disappointed their feminine public by depriving them from easy breezy florals, ruffles and ruching. Alexander Wang sure knows how to throw a party. The #WangFest party bus took the models and guests to the runway show. 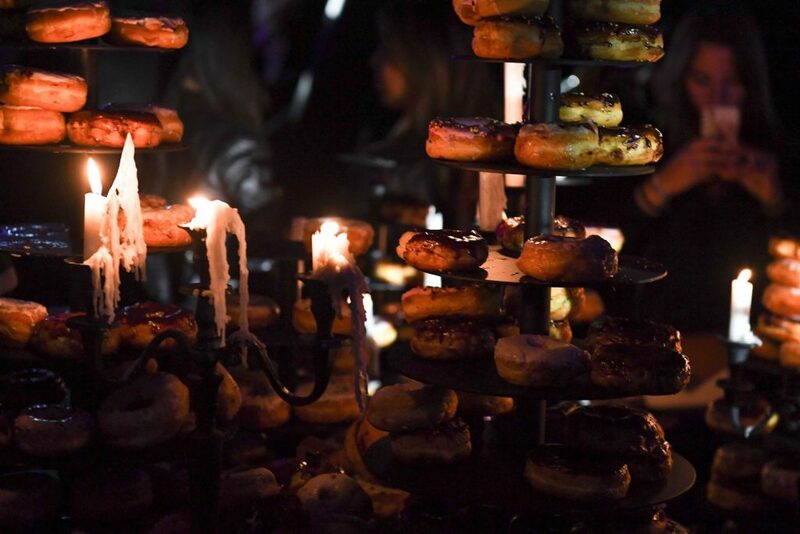 The after-party was even more impressive, with fair-inspired props like a light-up pouch worn around the neck as a pass, an impressive artist line-up (A$AP Ferg, Ja Rule and Ashanti), all topped up with a Dunkin Doughnuts tower displaying every flavor imaginable. Definitely one of the most memorable FW after-parties. 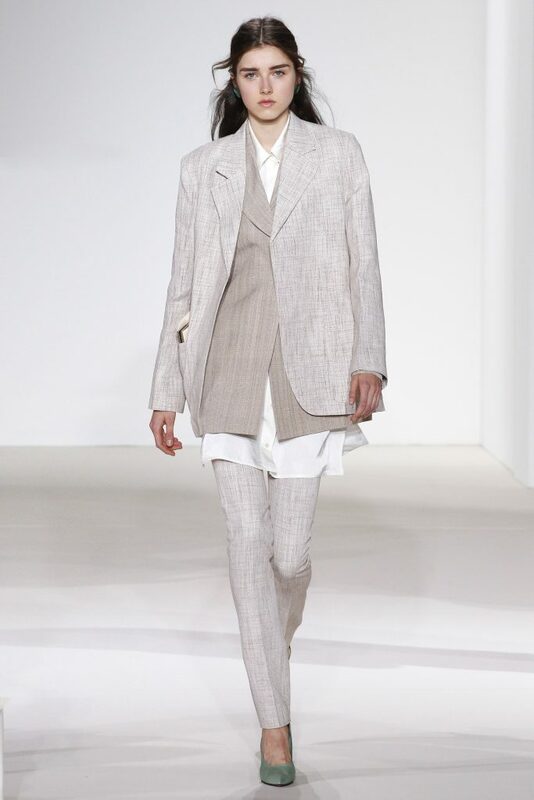 Victoria Beckham takes it easy and brings up femininity, an idea we can see emerging throughout collections. 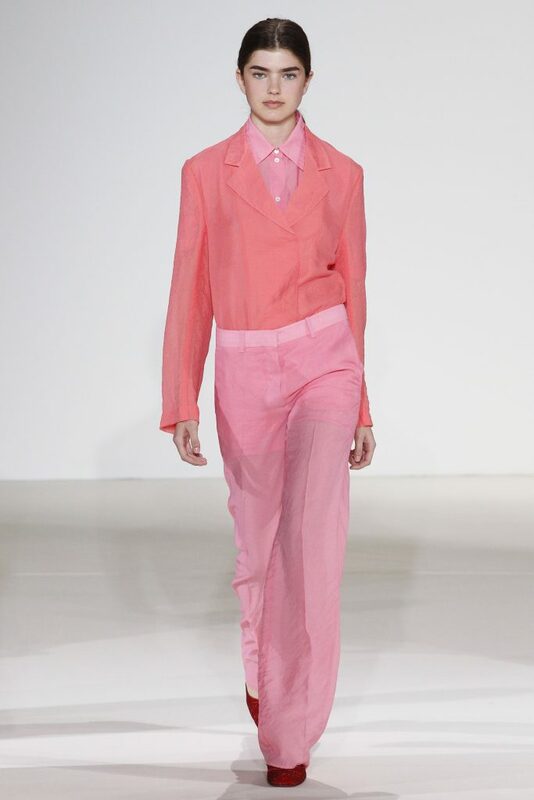 Pastels, transparency, straight-fitted and androgynous silhouettes were part of the brand’s evolving vision of delicacy. Last but not least, one of our faves were the timeless lightweight bold colors dresses, which we can’t wait to see on the streets next season! Photography credits: Indigital.tv, Getty Images. 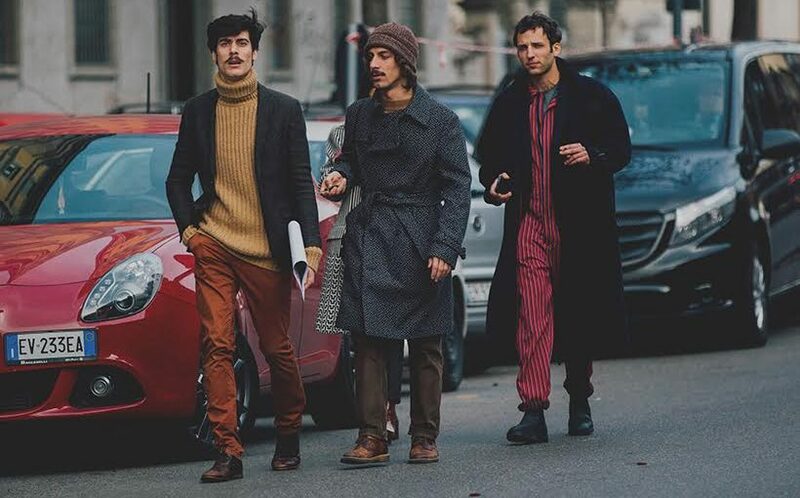 Stefanno Gabbana defies any controversy and public feuds with his Italian charm and humour, refusing to remain silent and addressing these accusations in his own way. Throughout the years, he’s been online ‘battling’ with protesters, including celebrities like Elton John and Miley Cyrus, all starting from the brand’s politics and his personal expressed views. Never taking these controversies seriously, he defends his brand through unapologetic comments, not wanting to get involved in any political/ social issues. 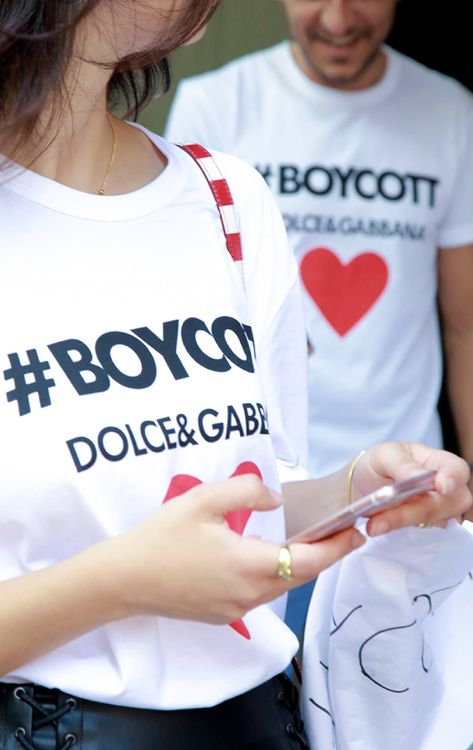 Consequently, their SS18 campaign featured a #BOYCOTTDOLCE&GABBANA hashtag printed on t-shirts and shared throughout the campaign, as a mock to the ‘haters’ protesting against the brand. 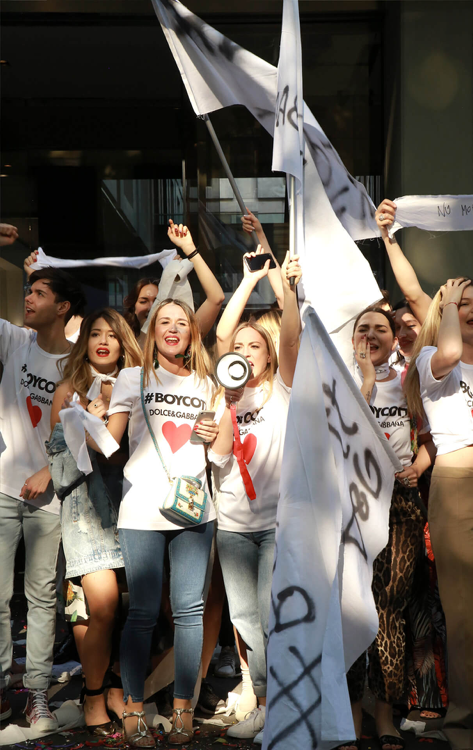 They went so far that they created a protest video where the two Dolce&Gabbana designers appear as well and featured it on their website. Taking the public controversy and using it to their own advantage, they showed once again the relaxed spirit of the brand, willingly disassociating themselves with external issues and focusing on keeping the public entertained. After all, bad publicity is still publicity, right? 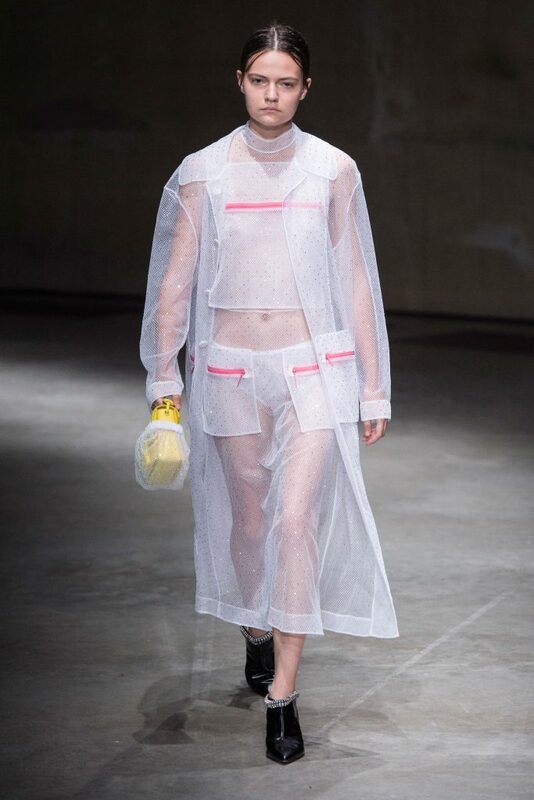 Some said this approach to address public issues isn’t responsible for such a prestigious brand, but sometimes you have to give it a laugh, fashion is not something to take seriously after all. It’s a form of expression. Dressing Melania Trump was a move Americans did not approve either, considering Trump’s relationship with American fashion. 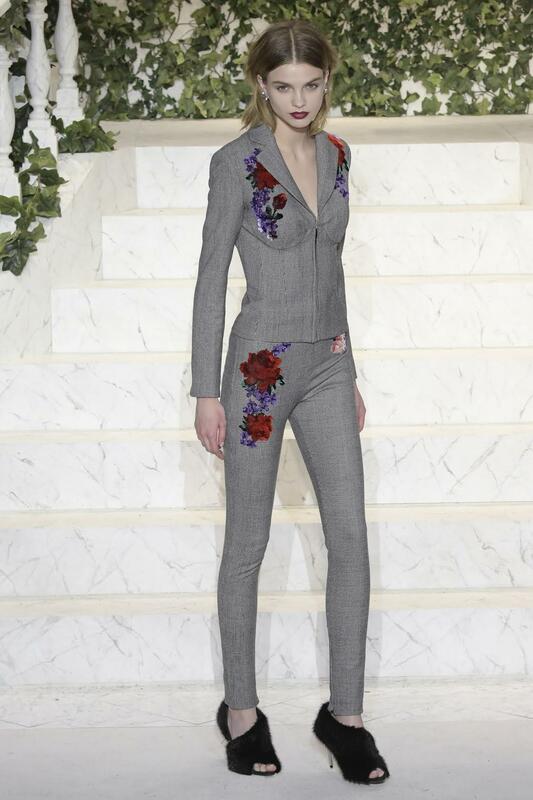 Stefanno wants nothing to do with politics, ‘especially American politics’, as he stated, and just wants to keep making people happy with couture clothes. Compared to classic luxury houses such as Chanel or Cline, who refused to have a presence on social media or even have an online store for a long time, in an attempt to maintain a personal relationship with their consumers, there are brands who innovatively went for digital transparency. Up until few years ago, would you imagine being taken behind the scenes through Snapchat, or would you still take that brand seriously? Risky yet successful, digital and online presence is now a MUST for any brand who wants to stay relevant. With Millennials being expected to represent the largest spending generation by 2035, and an important luxury consumer, being able to interact with them where they spend the most time – social media – is essential. Considering you’re already online and ready to build your public, are you sure you’re speaking their language? Do you master Emoji or Memes? You’ll have to! 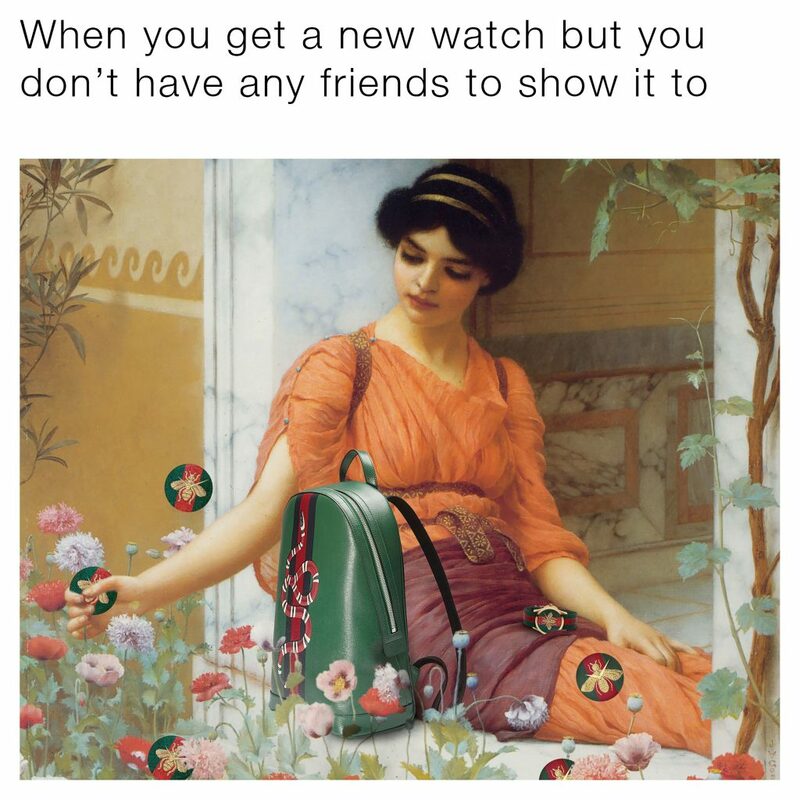 Gucci proved the fashion scene that they can adapt to the younger customer by launching their 2017 watch campaign through their own memes featuring new products. It was so simple and impactful, having been shared hundreds of thousand times and creating buzz around the campaign. 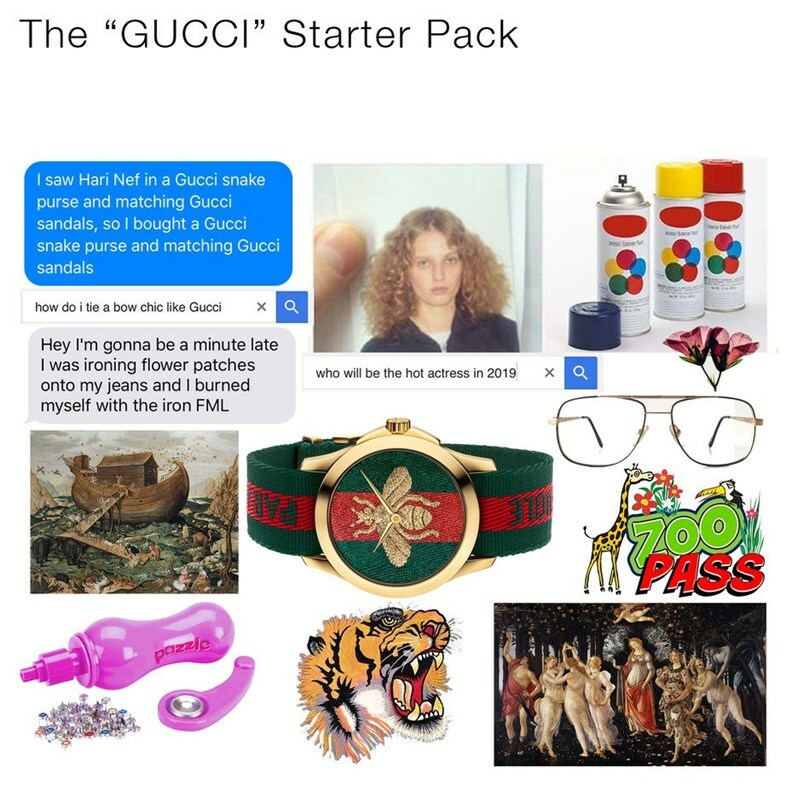 Of course, this strategy fits with Gucci’s brand identity, which is fun, adventureous and unapologetic. 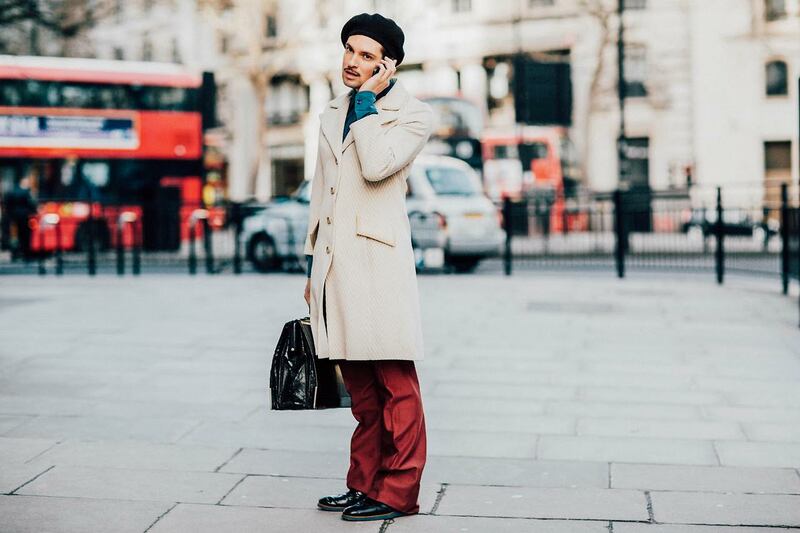 Burberry is now not the only brand innovating the digital fashion environment, and you can see why that’s not difficult when you have social media tools in your hands. 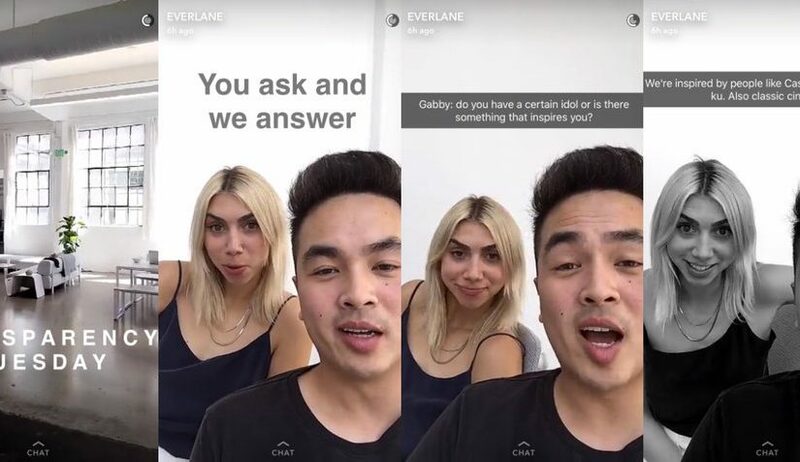 Everlane, a niche sustainable brand came up with ‘Transparency Tuesday‘, a series of Instagram and Snapchat stories that take their consumers behind the curtains and into the production process through Q&A sessions. They were also the first brand to launch an entire accessories collection exclusively on Snapchat. Encompassing some of the most current marketing trends today – customization, social media commerce and instant gratification, it built great buzz around the brand and a great consumer response. Allign your strategy with your target consumer, your message and tone and your brand identity. If these don’t match, your message will come across as forced. All you need is a great idea, some creativity and courage and the right tone. Make social media your market place. Instagram and now Snapchat (TO VERIFY) have the shoppable post tool which some brands are already using to bring social media followers straight to their online shops. The process needs to be quicker and easier to navigate everyday, since people’s attention span is nothing to joke about. Being so direct and close to your audience is a great opportunity to gather data. Be authentic! Transparency and an honest message count more than an expensive, beautifully crafted campaign! Don’t be afraid to include digital in your strategy, and use it it an original way. Try to incorporate some form of transparency with your audience, whether it’s about where your raw goods are coming from, sharing stories of the people who are part of the production process or simply staying true to your brand promise. Don’t be afraid to interact with your audience! After all, their feedback is something you need to stay tuned to. Yet again, make sure your message is consistent on all channels. 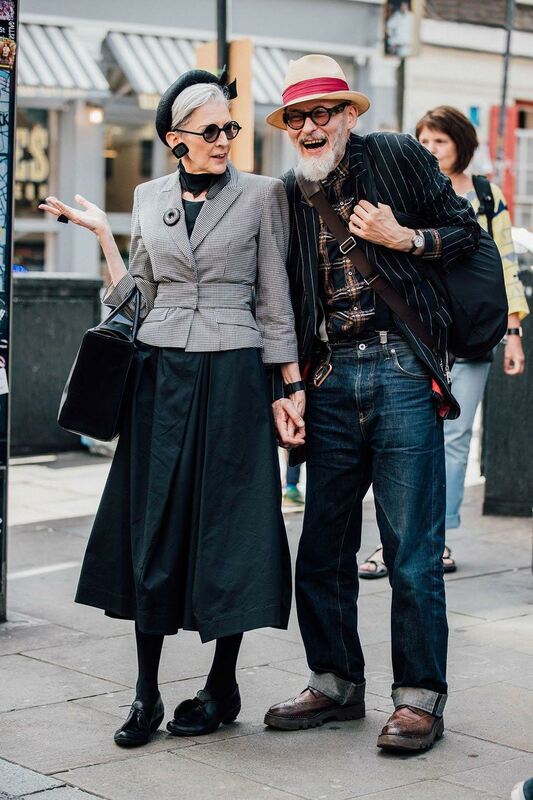 Photo courtesy of Dolce&Gabbana, Gucci, Orietta Scardino/EPA, Everlane. 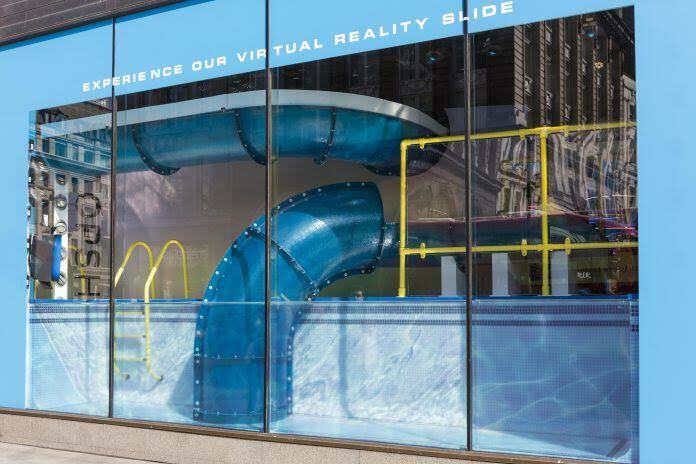 British fashion retailer Topshop revamps their Oxford Street flagship store for their 2017 Summer campaign #TopShopSplash, turning their windows display into an interactive pool scene. 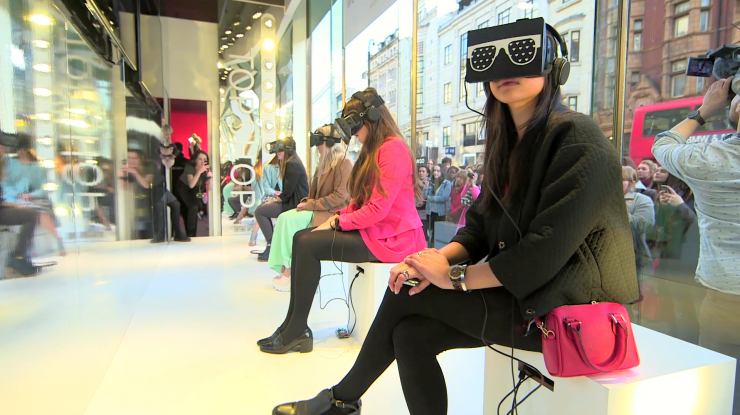 Their digital strategy continues to innovate the fashion environment, taking experiential marketing further by using Virtual Reality technologies. 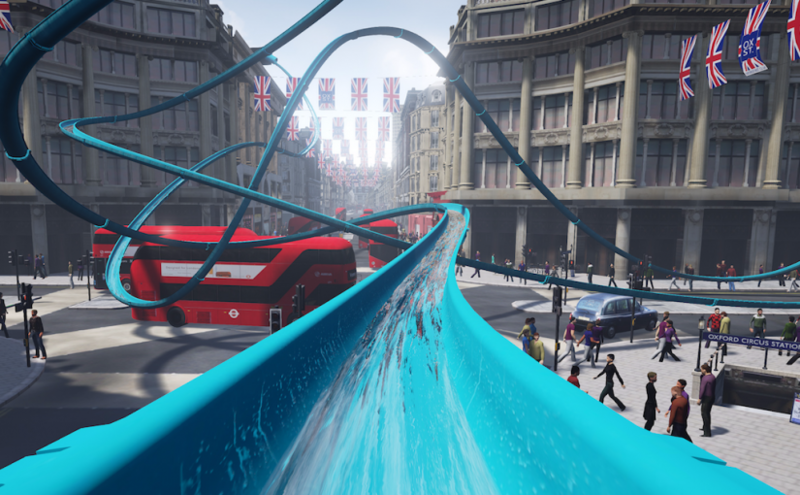 Created in collaboration with two London-based creative digital agencies, the journey consisted of a high-intensity VR waterslide ride through the streets of London. 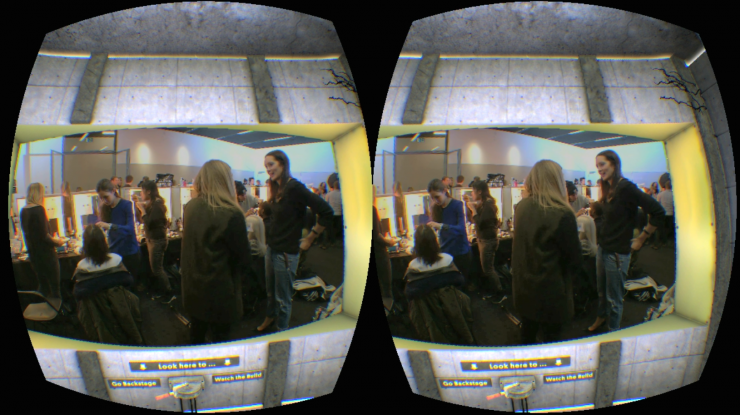 This strategy is nothing new for the brand, who pioneered this type of engagement on the high-street by virtually bringing their customers to their London 2014 Fashion Week catwalk show via VR headsets. To complete the summer feeling of the campaign, sunscreen smell and ice-cream pop-ups filled the store. An exclusive aquatic-themed Snapchat lens was available for users to be able to share this experience with their friends. Attracting a broad target customer – both wandering tourists and the loyal Topshop fan who’s always looking forward to the brand’s next move. Taps into the needs and demands of the digital consumer by transporting the customer into a virtual, immersive experience. As VR tech continues to grow, more brands should start considering it as part of their digital marketing strategies. Playing with people’s senses – makes the brand presence more memorable and increase brand loyalty. Great word-of-mouth and refferal opportunity due to the social media element – increases brand awareness. Creates brand differentiation throught the uniqueness of the campaign. The close relationship of fashion and art has long been not called into question. 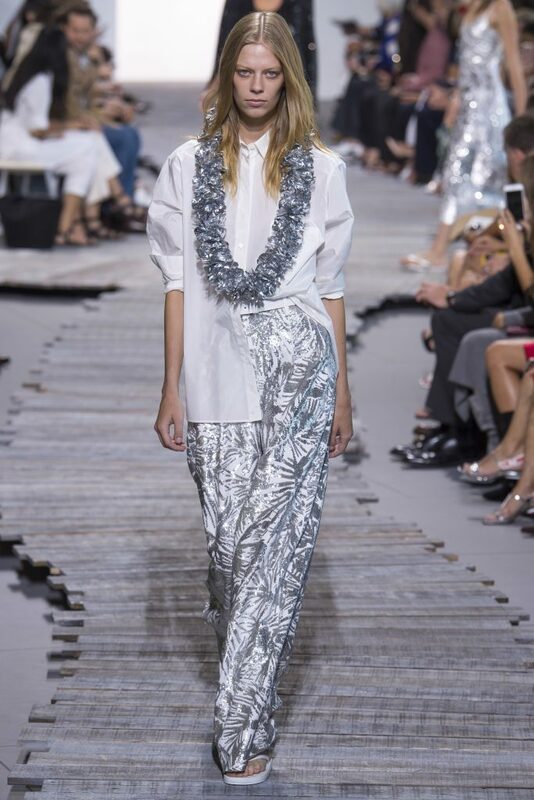 One of the most vivid examples of regular creative unions of brands with contemporary artists is Louis Vuitton, thanks to its cooperation with Stephen Sprouse, Takashi Murakami, Richard Prince, Yaeyi Kusama, Cindy Sherman, James Tarrell, Olafur Eliasson and Daniel Buren. A new chapter in the brand’s relationship with art is a collaboration with one of the most famous contemporary artists – Jeff Koons. Koons created for the brand a line called “Masters” – each bag from this limited series is dedicated to one great artist. 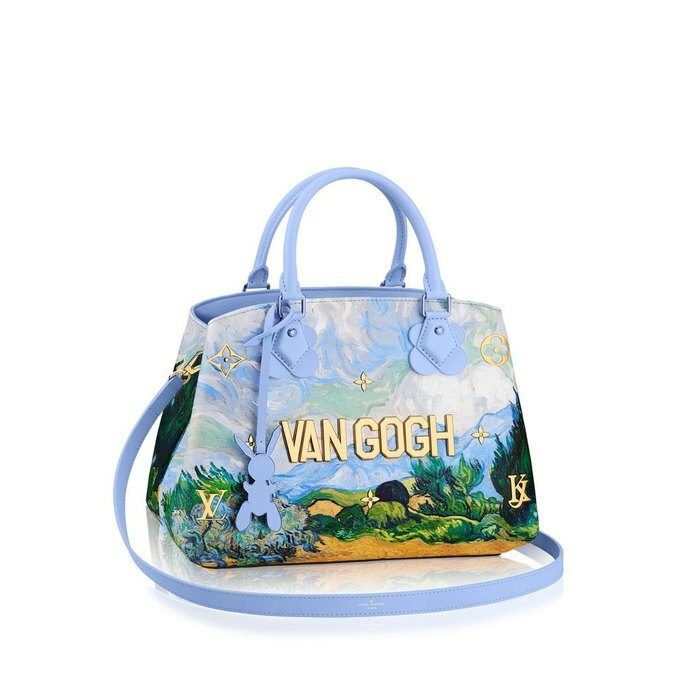 Koons turned the traditional Louis Vuitton models into kitsch art objects: over the reproductions of the famous canvases of Fragonard, da Vinci, Van Gogh and Rubens are adorned the gold and silver names of the authors and the golden logos of the brand. The collection will go on sale on April 28. 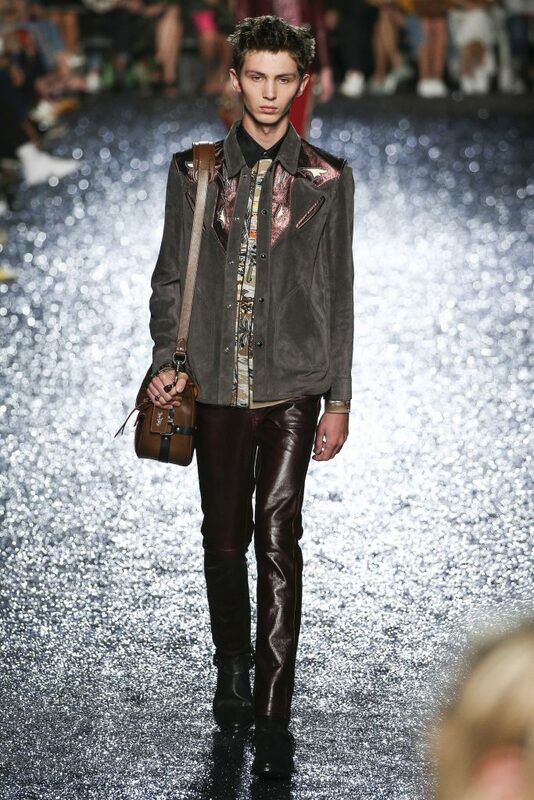 It is known that Louis Vuitton plans to release several more projects in collaboration with Koons. Rihanna is one of the main fashion icons of the new generations, so it’s no surprise that PUMA invited her as a creative director of the brand. 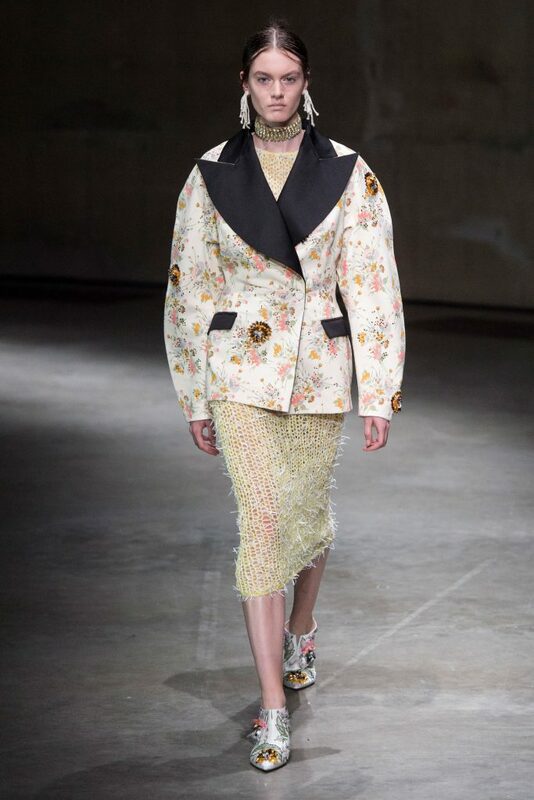 The second collection was presented at Paris Fashion Week in September, last year. Special attention should be paid to the shoes that Rihanna creates in cooperation with PUMA: creepers and fur slippers were sold out in a few minutes after the release. In the new collection, these models were replaced by slippers with satin bows, high-heeled shoes and futuristic sneakers. As a source of inspiration for the collection, Rihanna chose the 18th century with its characteristic corsets, rich lace, pearls and luxurious Chinese silk. 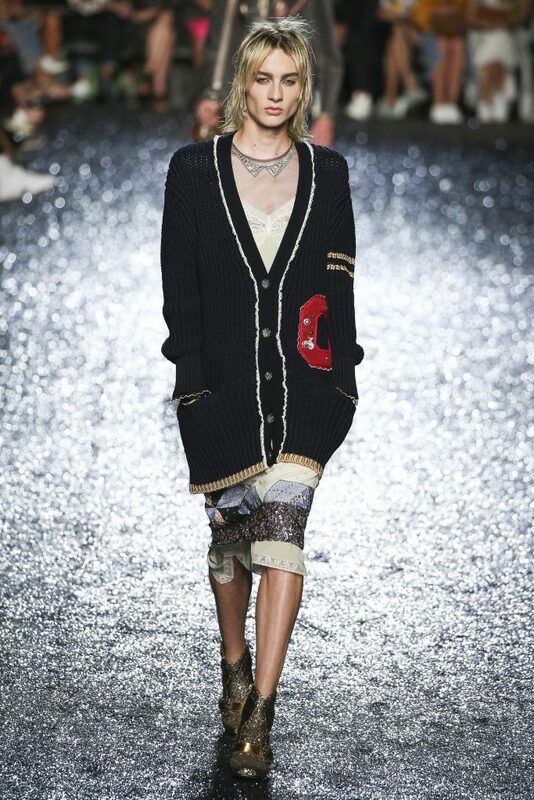 As a result, voluminous sleeves, hoodies+corset mix were elements that you could find almost on every model. 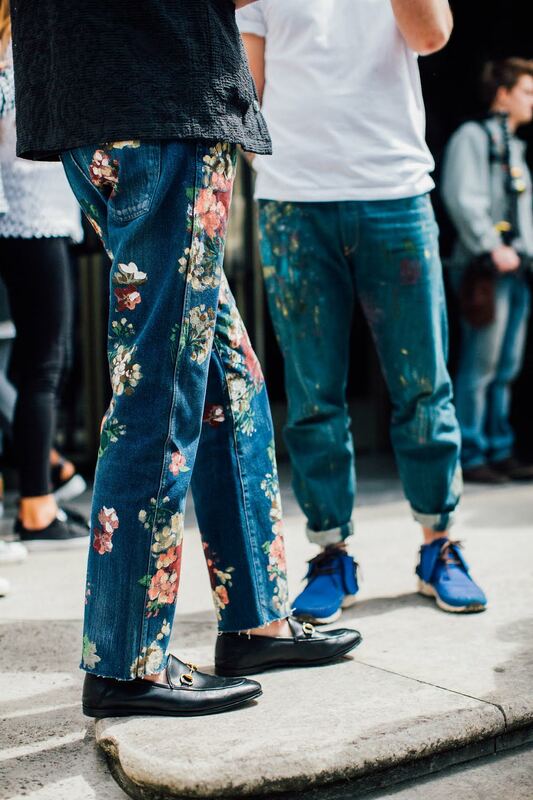 Also, we could not not pay attention to the loose trousers and overalls decorated in traditional Chinese motifs, representing images of plants and birds. 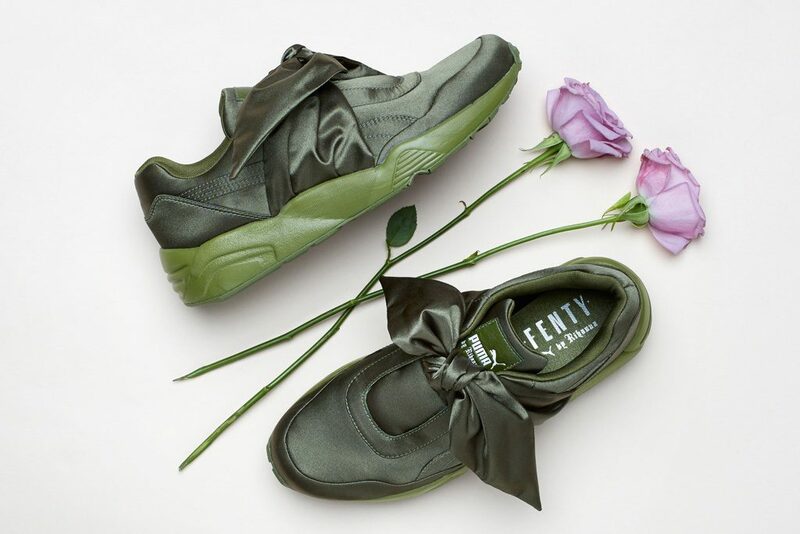 Nonconformist, rebel, sporty-chic are the words that best describe the FENTY PUMA BY RIHANNA collection. We definitely like it! Band of Creators Designers’ Store had organized a Fashion Weekend between 25th and 26th of March. The event consisted of a popup shop and fashion shows open to the public. 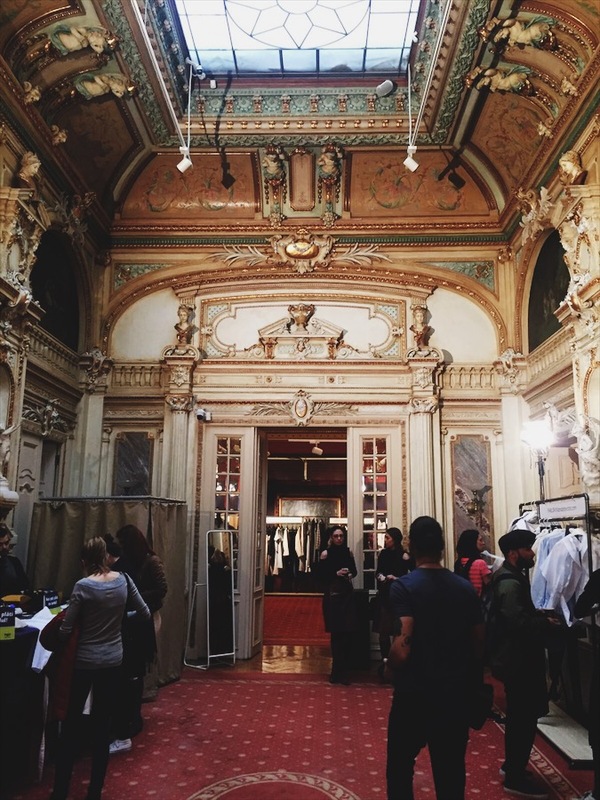 It was a great chance for Romanian young designers to be seen and for people to discover them. The location chosen for the event was more than perfect. 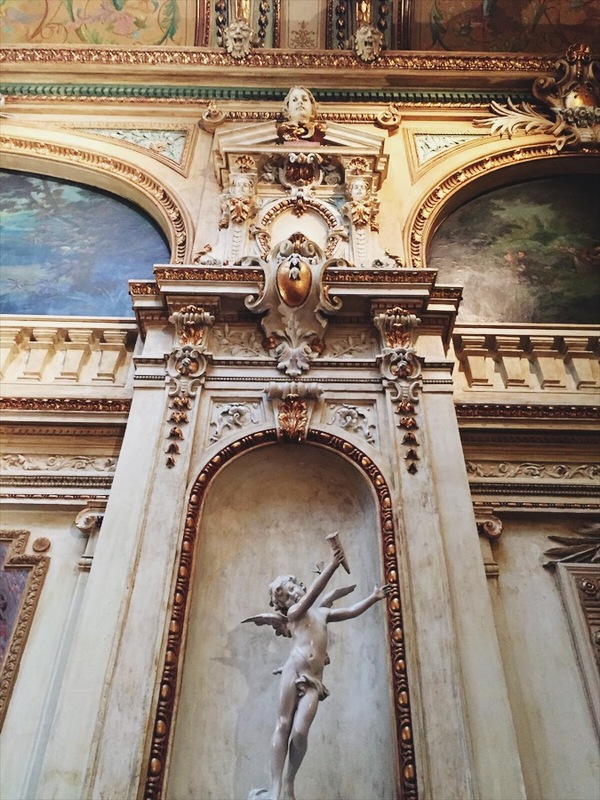 The baroque influence of the building and its interior design was creating a more than appropriate atmosphere. 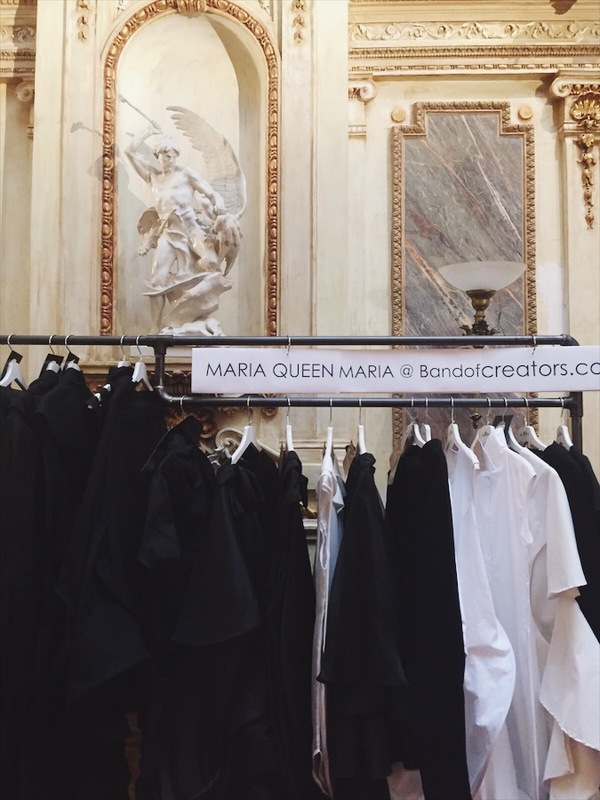 Amongst the exposed designers were Ioana Ciolacu, Pas du Tout, Parlor, AFMF, CLOCHE, Larisa Dragna and others. Though the prices of the pieces were not the most affordable, you could see that it was worth it only by touching the qualitative fabric. More than that, the designs were very modern, trendy and fresh. 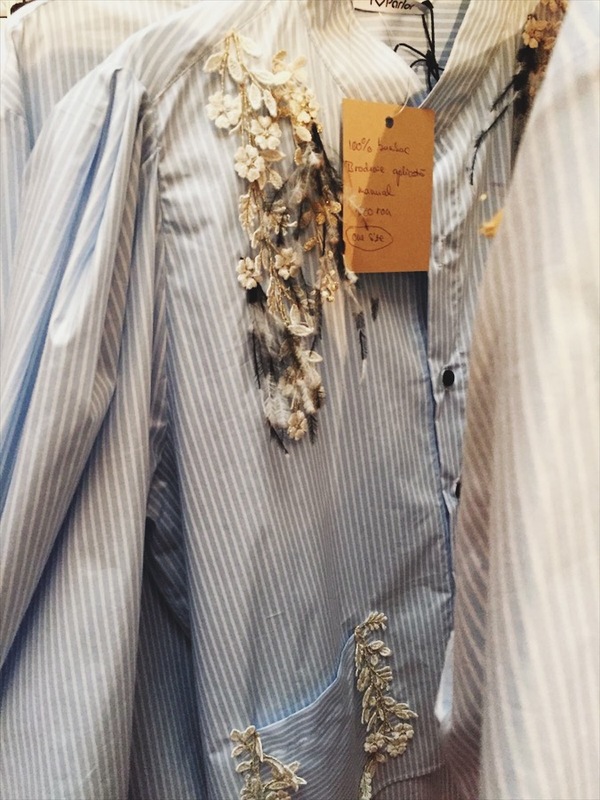 One of our favourite pieces was the PARLOR embellished shirt. Shirts are a must this season, moreover embellished ones. 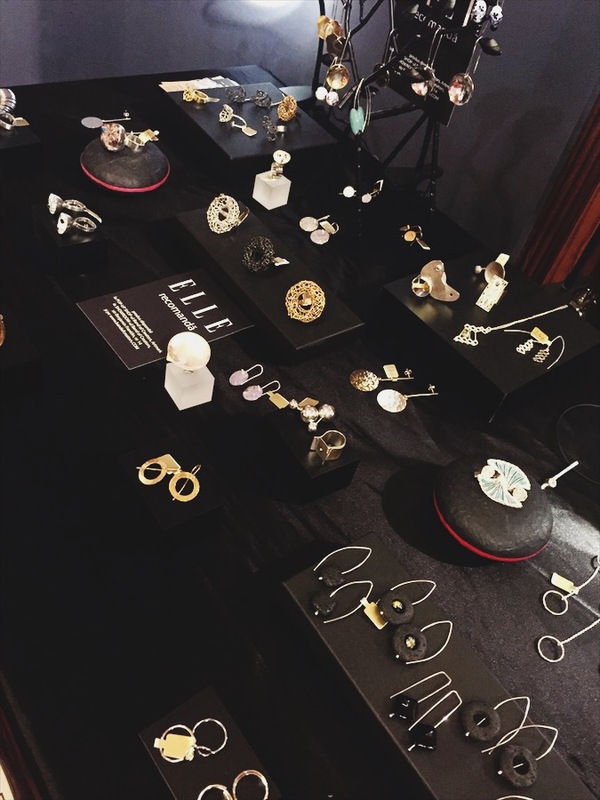 Among the exposed pieces you could see the ones chosen by ELLE Romania, one of the partners of the event. More than just a popup shop, there were a few fashion shows also. We welcome this kind of events and are ready to encourage both the organizers and the young designers to many more. See you next time, Fashion Weekend! 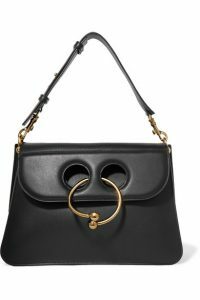 This bag has created a real buzz around it. 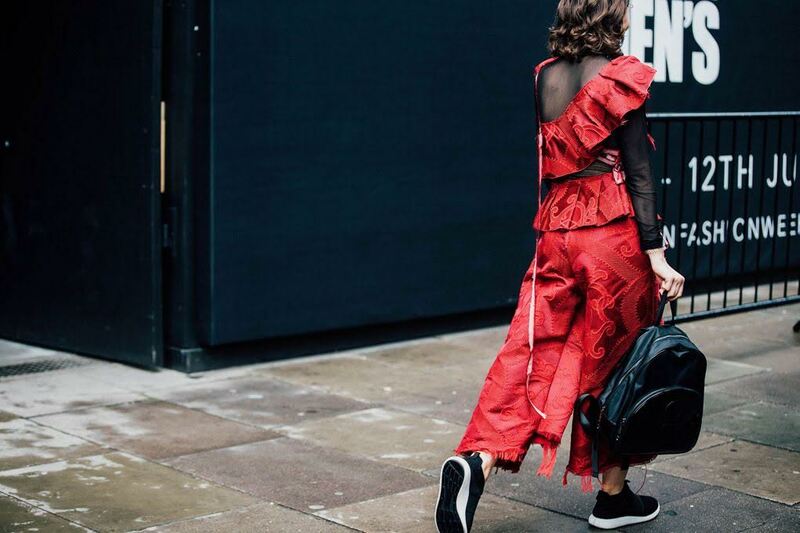 Everyone, from editors to bloggers were constantly wearing it during this fashion week. Sure they did. Though it has a minimalist shape, its interesting and catchy vibe is assured by the golden pierce. It can be worn absolutely with everything, in every situation, by day or by night. You can count on this bag anytime. This is why it’s one of our essential pieces for this spring, don’t you agree? 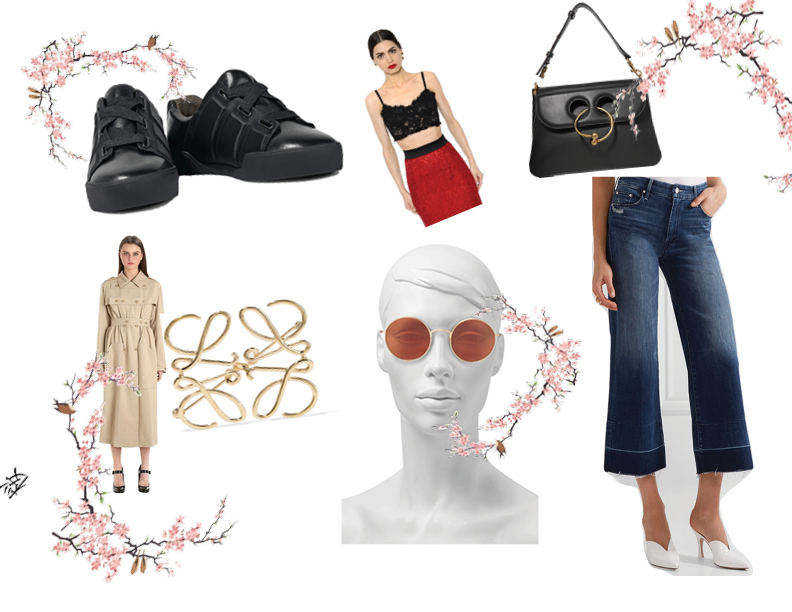 The wide-leg silhouette is very popular right now. The high-rise thing makes it even more interesting. 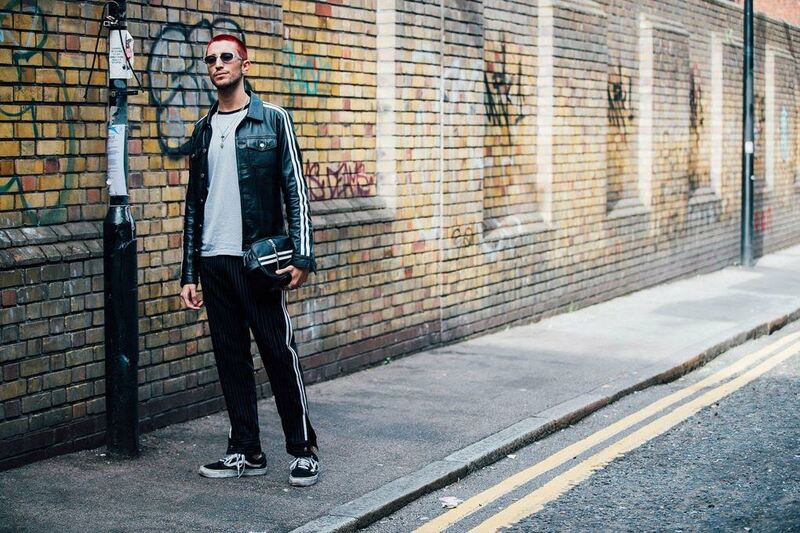 The time for skinny jeans is over. 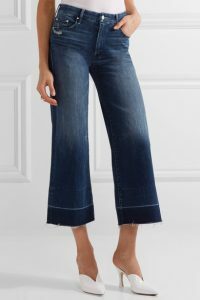 These kind of jeans are going to be your best friend this season if you’re a real fashion maniac :)) Pair it with light blouses, shirts and sweaters. 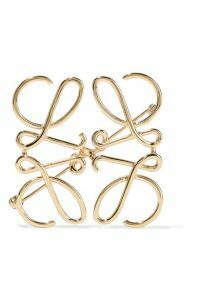 When it comes to accessories that can make a difference, brooches are among our favourites. Especially this one, due to its golden shade and original shape. Attach it to a blazer, shirt or a scarf for a chic outfit. It’s the perfect choice if you want to have an outstanding outfit without looking like you’ve tried so hard for that. Midi dresses are definitely in. They have been in for 3 seasons now and this spring makes no exception. 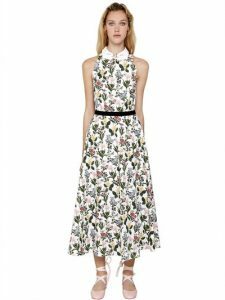 You can go for a pastel coloured one or for a floral printed version, just like this one from VIVETTA. Now, this is an iconic piece, you know. These kind of suede pumps can be paired both with a casual outfit or with a nighty one. The heel is not too high, which makes them pretty comfortable in every occasion. I don’t even remember the time when sneakers became so fashionable. 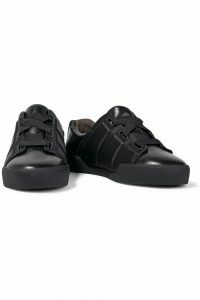 They have some years already being on top when comes to comfortable shoes. The sporty chic attire has become a very mainstream trend and everybody from office workers to creative people are wearing it. If you don’t have a pair of sneakers, it’s time to buy one! 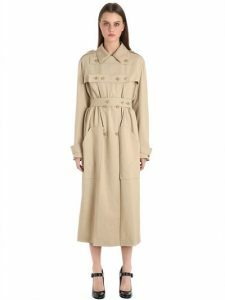 Trench coats are atemporal, classy pieces that are never gonna be out of style. 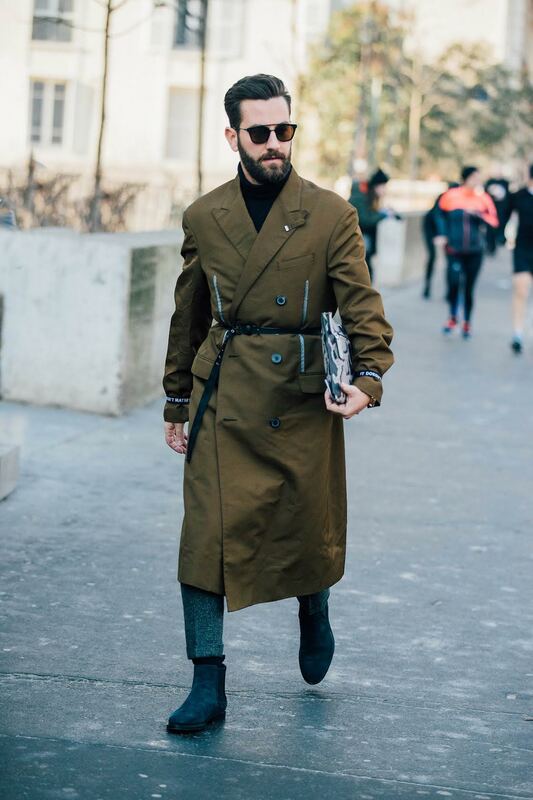 You can totally make some investments in a trench, it will serve you some good years. 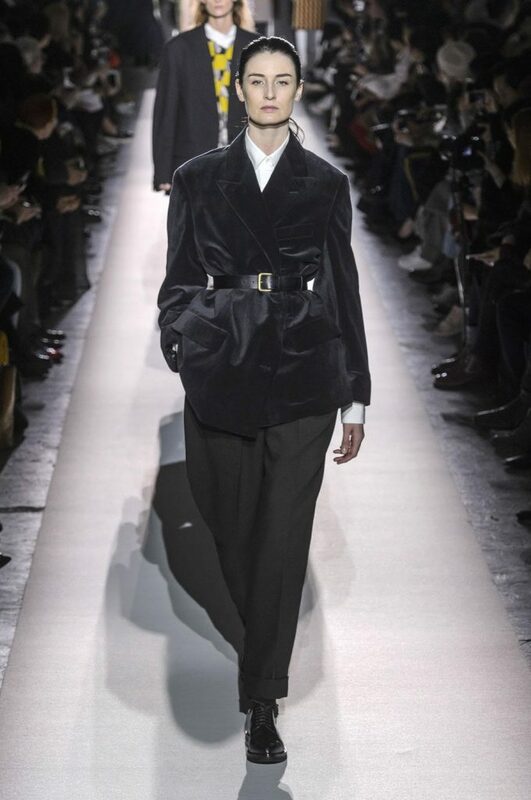 You can go for a more elegant one, like this from Bottega Veneta or for a more casual one, it’s your choice. You’ve probably noticed the whole hysteria with tops/corsets. 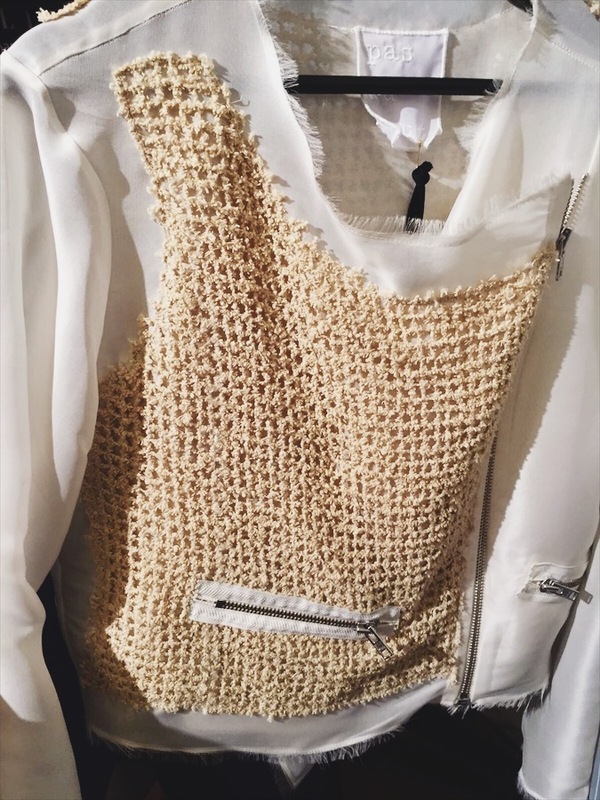 Lace, leather or silk, it doesn’t matter what they’re made of, they’re still a piece of resistance this season. 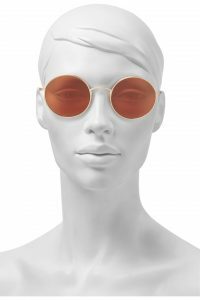 They can be worn over a shirt for a more eclectic look or simple, just as it comes. These bold earrings will bring out your inner diva :)) If you’re a fan of statement accessories, you need to have them! Raquette is a contemporary Romanian label, founded in 2012, by a design duo – Dana & Violette, two sisters who decided to follow their mother’s vocation, both inheriting her love for the fashion world. 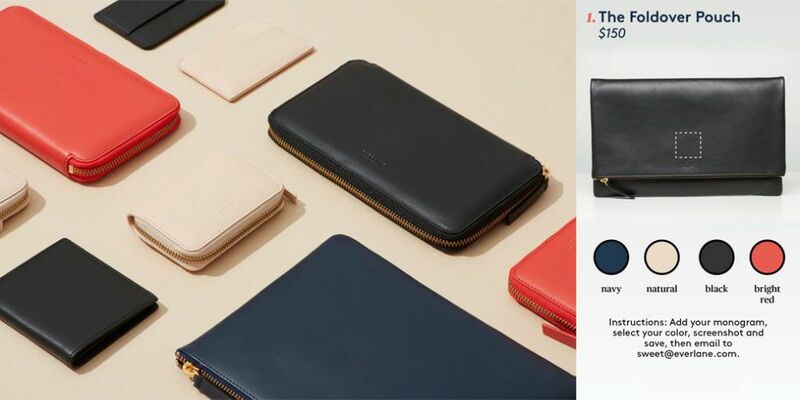 As described by them, Raquette reflects the clean and effortless chic style, being recognized in minimalist design and versatile products. The label’s signature can be defined by simple and clean cuts, small crafted details like twists and ladder-inserts. Raquette is reinventing essentials each season, focusing on masculine-feminine equation. Concepto was born from our desire to create something unique that makes you feel extraordinary. It is a brand that stands for powerful women, based on minimalist lines, unconventional cuts and unique combinations. A brand inspired by women who know what they want in life. This is an example of an authentic brand that stands for quality and innovation. Cristina Savulescu is a self-trained Romanian fashion designer. Cristina launched her brand in March 2013, at the age of 23. Working from the beginning with the finest and most innovative fabrics, the most delicate laces, using couture techniques and handmade embroideries, Cristina’s mission is to create a luxury product by mixing the contemporary with the retro vibe. She has a personal approach to the 50s figure and glamour, and every gown holds in tension the old and the new, sensuality and mystery. Her main sources of inspiration are women characters, classic beauties who changed perceptions, women who expressed fierce power without losing their femininity. Being a woman, she understands women’s demands, and their need for beauty of the most classic kind. She also understands the practical aspect of a gown: it should flatter a woman’s body and its concept shouldn’t interfere with the main purpose of a dress – the celebration of femininity. Cristina likes to believe that when a woman puts on one of her gowns, she instantly turns into another character; this is her mission, to make women connect with their alter ego, to slip into another dimension of themselves, their very sensual side. 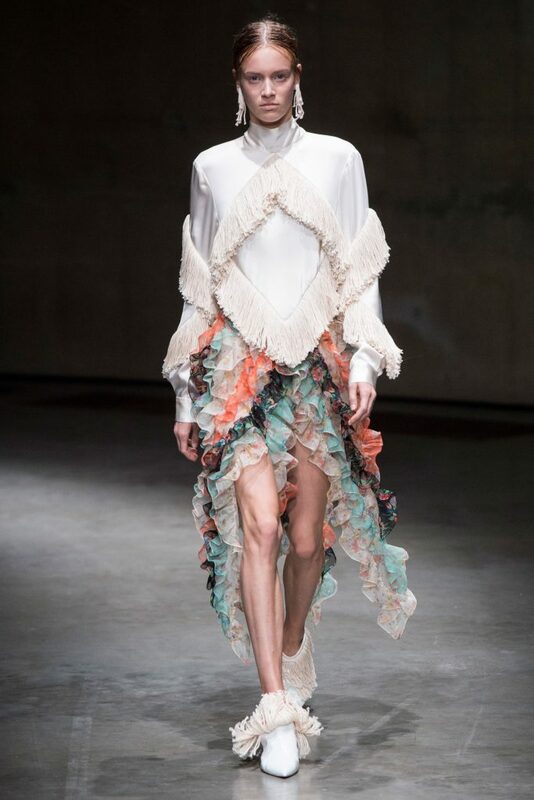 With an MA in Fashion Design and Technology from the prestigious London College of Fashion of University of the Arts London and with design experience from one of the best international brands – Stella McCartney, Ioana Ciolacu has developed strong understanding of creating high quality clothes and unique designs. With a focus on shape, craftsmanship and sustainability, Ioana takes inspiration from architecture and nature combining signature graphics with tailoring techniques. 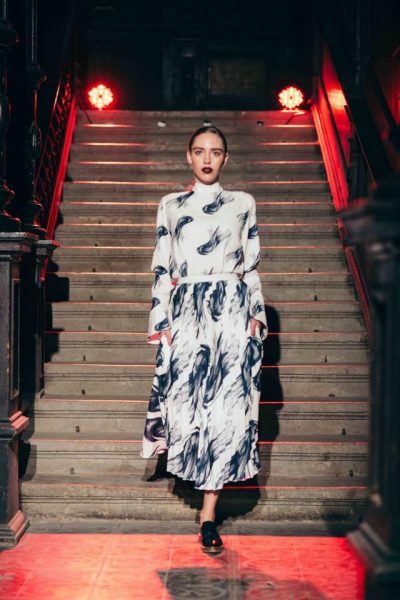 Her simple yet tailor inspired silhouettes work as canvases for signature graphics – transposed in prints and embroidery -and fabric combinations that all show a deep understanding of shape, proportion and craftsmanship. Ioana’s effortless pieces show a love for playing with custom developed techniques to create a modern and alluring look. PNK Casual supports women’s confidence and stands for appreciation, love and admiration towards them. PNK Casual favours the quality of materials and the products made in their own factory since 2002 are always manufactured with extra care. With 12 years of continuous experience on the Romanian fashion market, PNK Casual is an appreciated women fashion brand, based on a modern and classy approach to design, always aligned to the latest trends. Since our job is directly connected to fashion, we couldn’t miss fashion week, right?! Our first trip, first fashion week, first flight, first everything with MAKEOVER BURO, whoop whoop! 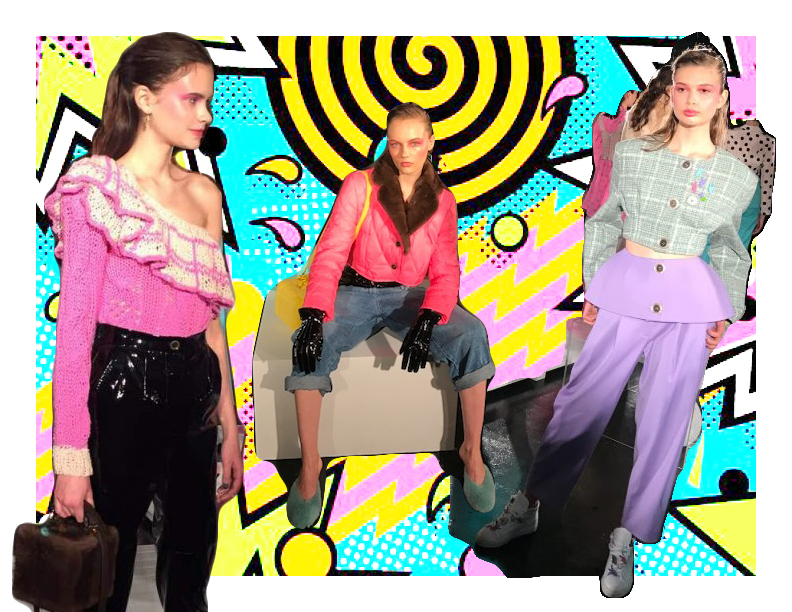 If it were up to us we would go to every fashion week, starting with New York and finishing with Paris, but someone has bunch of work to do at the office, obviously. 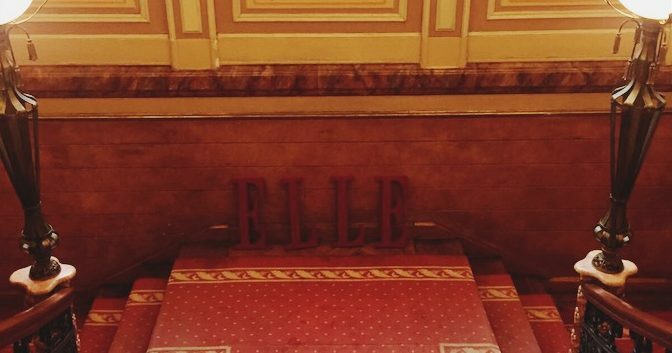 Therefore, London Fashion Week was the best option for us: perfect timing and right connections. From all the shows, NATASHA ZINKO‘s was special for us. Wondering why? Well, one of our partners and dearest friends, BRANDON ARCHIBALD was the agency that made her first collection’s lookbook . No doubt this show was carrying a certain emotional charge for us. More than that, we had the chance to meet Natasha in person. Let us tell you something, this woman is truly beautiful. Inside and out. Speaking about the collection, it was a delightful 80s music and shapes mix. And the colours, oh the colours…powdery pink, yellow, blue, green…they all reminded us of the glorious 1980’s. These are some of our favourite pieces from the collection. Girly tops, ladylike silhouettes and funny shapes. 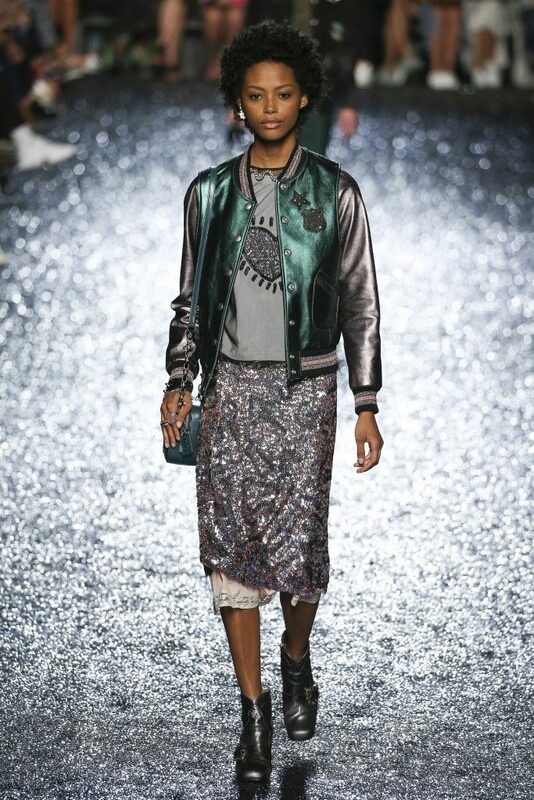 This is what we call a fresh approach of 80’s in the 21st century. We couldn’t miss the chance to strike a pose, could we? That’s all for now, fellas, see you next time! More articles are coming on the blog, so, stay updated!